What Does A Four Stroke Engine Mean? The land of Monpa’s and mountains Tawang- is the blessed valley of North East. And of course, you can’t reach easily to a place where happiness is hidden in sacred spaces. Anything beautiful that the name suggests could not possible to attain so easily and only the people with a thirsty mind and adventurous zeal can attain it. So, this land is called “Mon Payal Kyinochung” which means “the hidden and blessed land”. This picturesque valley is situated in the lap of the land of rising sun i.e. in Arunachal Pradesh of the northeast. Arunachal Pradesh is the northeasternmost state of India surrounded by Nagaland and Assam to the south, Myanmar to the east, China to the north and Bhutan to the east. The state is one of the largest states of North East comprising an area of 83,743 sq km. The state is a famous tourist destination for Tawang, Ziro, Nameri etc. Tawang holds your eyes with its unparalleled natural beauty. The valley offers the towering hills, breathtaking landscapes; narrow roads, mesmerizing natural surroundings, waterfalls, monasteries, and surely the simplicity of the Monpa Tribe make Tawang one of the most beautiful places on the earth. If you are on a route to explore the native cultures and varied exotic tradition then you must visit this valley at least for once. And for an amazing weekend what is better than the valley of the rising sun. Tawang is historically a part of Tibet but after the Sino-Indian war the city was claimed by India and today’s Tawang district is formed in 1989. Tawang is a perfect gateway to your weekend holidays. 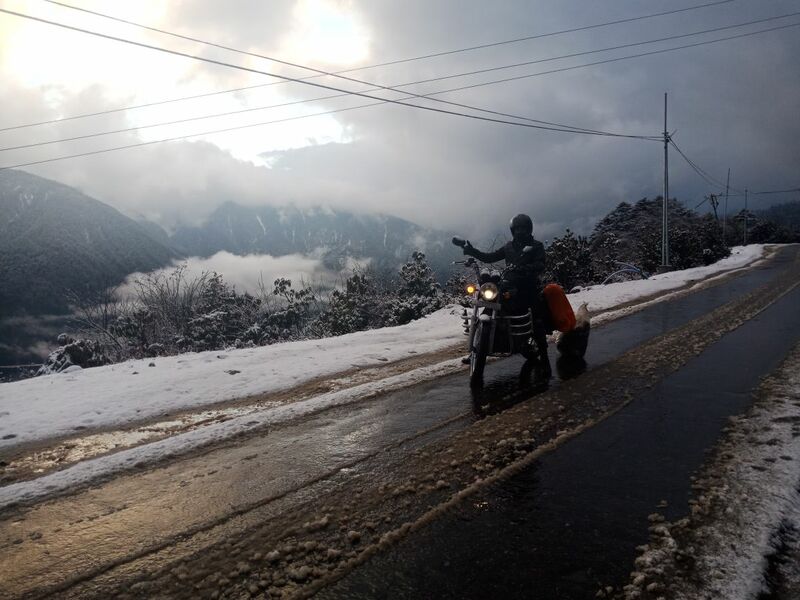 Bumla Pass is a prominent attraction of Arunachal Pradesh but you need a special permit from Office of the Deputy Commissioner in Tawang District and then Indian Army cantonment of Tawang. It is at an elevation of 5,000m above the sea level and the Bum La Pass marks the border of Indo-China Border. Although the place evokes a sense of patriotism while watching the soldiers protecting the border that too in the numbing cold weather of the valley. Through this pass Dalai Lama entered India. The Sela Pass or more appropriately called Se La where La means Pass is usually snow covered in most of the time of the year and offers unique and heavenly views. As this part of the state is special for the Buddhists and they believed that that about 101 lakes exist near Sela Pass which holds a huge religious significance of Buddhist community. The Sela Lake or most prominently known as the Paradise Lake is one-of-its-kind and you should visit at least once. According to the legend, a soldier of the Indian Army named Jaswant Singh Rawat fought alone against the Chinese Soldiers near the pass during the 1962 Sino-Indian war, a tribal woman called Sela who had brought food and water to him was killed herself after seeing the body of Jaswant Singh Rawat. He was awarded the Maha Vir Chakra for his courage and devotion to duty posthumously. Arunachal Pradesh is the gem of Northeast and also for the traveller who is seeking for new adventure. Tawang Monastery is India’s largest and world’s second largest Monastery and it is the centre of the Gelug School (Yellow Hat) of Mahayana Buddhism and of course, when you enter into the Monastery you will feel the grand experience –the huge doors, the enchanted corridors and gigantic architecture which will transcend you to a stage of peace and tranquillity. The most prominent structure of Tawang Monastery is the “Dukhang” or the Assembly Hall. This is the main building of the Monastery and another is the “Court” which is a centre of religious dances and ceremonies. Originally, the monastery was established at the request of the 5th Dalai Lama and there is a legend behind the monastery once Merak Lama had difficulty finding a place and then he decided to rest in a cave. He prayed for divine guidance and after completing his prayer when came out of the cave he found that his horse was not there. Merak Lama found his horse at the top of the mountain and after viewing the place Lama realised that that will be an ideal place for a monastery. In Tibetan, “Ta” means horse and “Wang” means chosen. If you are on a trip to Tawang then don’t miss this beautiful place. Taktsang Gompa is another Monastery of Tawang. Tawang is full of the lofty mountains and peaceful Monastery and if you are searching for a real peace then you can find yourself in tune here. The Monastery is located on the top of a hillock surrounded by dense forest with a smell of greenery and sound of birds’ chirping and also the meaning of the Monastery is Tiger’s Den. According to legends, Guru Padmasambhava visited this place and meditated for a long time. Lost some time in the spiritual and visual feast of Tawang. Tawang is not only a place to roam around but it is also a place to stimulate the challenges in you. And for the adventurous out there Gorichen Peak may be a place to be. It is the highest peak of Arunachal Pradesh with spectacular views. You can be a part of the activities like trekking and camping there. The lake is popularly called Madhuri Lake after the popular Bollywood actress Madhuri Dixit one of whose film’s shots were taken place there. The lake was created in an earthquake in 1971. In the midst of the natural .. the place is an ideal place to roam and be amazed at nature’s beauty. Tawang stores a lot of places for your holiday ’s. Nuranang Waterfall is one of the most beautiful attractions of Tawang. It is most popularly known as Bong Bong Falls or Jang Falls. According to legends, there was a girl called Nura, who helped an Indian soldier and also gave him food and shelter during the Sino-Indian war. It is a beautiful destination to watch and also for the photo maniacs it is a powerhouse of your dream! Blessed with the picturesque sceneries and vivid greenery Pankang Teng Tso Lake is the major tourist destination of Arunachal Pradesh. The lake is about 17 km away from the main town. As for the tourist, the lake is surrounded by blue flowers in the summer and white snow in the winter. The lake is created in an earthquake and located in midst of the pine forest. It is a beautiful destination to carry the time where the trail is covered with scented wildflowers and cool breeze. Bap Teng Kang Waterfalls is situated about 82 km away from Tawang. Although, the place is popular as a picnic spot as the crystal clear water encourages the tourist to for swimming and resting a little bit in midst of greenery and serenity. Jaswant Garh is a famous tourist destination for the tourist as it is widely visited throughout the year. The Garh is a memorial in honour of Jaswant Singh Rawat. He was an Indian rifleman and he fought against the Chinese army. The Garh is a sign of his sacrifice and many people all around the globe visit this place throughout the year. Tawang is profoundly bestowed with natural serenity and vibrant ethnicity and many people around the globe come to this beautiful place every year. And the Monasteries and popular destination play a special role in acquiring a great place in tourist’s mind. The best time to visit Tawang is between March and October and the temperature is very low in the time of winter so it is best for the traveller to choose the summertime to visit. The temperature during the time ranges from 5 degrees to 25 degree which is comfortable and pleasant for the tourist. 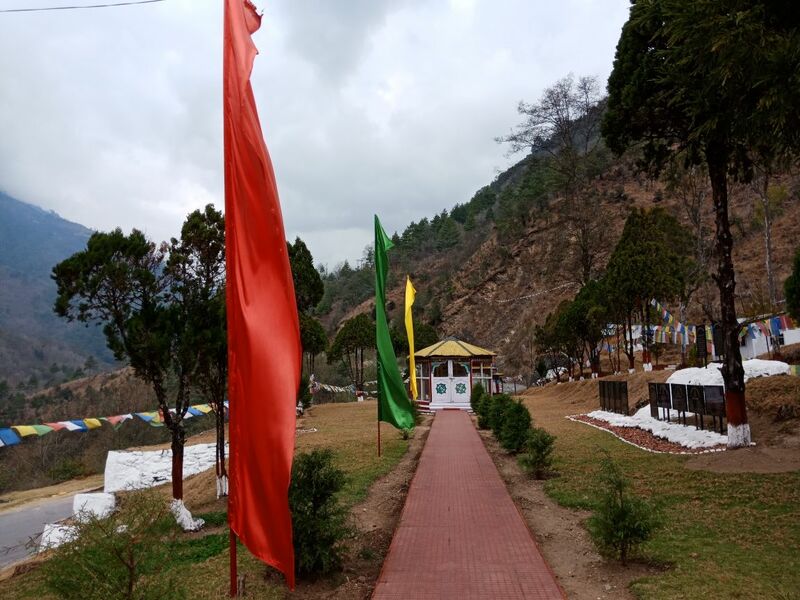 And if you are planning a trip to Tawang then you should mention the time of the popular festivals which is celebrated in the popular travel destination and it is best for you if you coincide the days with the festival dates because that way you can be a part of the true ethnic colour of Tawang. As mentioned earlier Summer is the best time to travel to this serene valley. Tawang comes to its full-fledged colour in February- March when the flowers start to bloom and the cool breeze begins to flow with a scented aroma. It is also comfortable for the travellers because the temperature of the valley ranges from 10 to 20 degree. During the time of Monsoon, the rainfall occurs in the valley. The season is comfortable for travelling although sometimes heavy rains lead to a temperature fall in this time of the year. If you love skiing then you can enjoy the winter time in the valley. But temperature during this time drops down to minus so it may be difficult for the tourist. And the sightseeing is not possible during this time of the year. Losar Festival: Losar festival is the most important and celebrated festival of Tawang. It is organised by the Monpas who are a majority in Tawang. In this festival, the relatives and friends get together and celebrate this auspicious occasion with great prompt and show. This festival falls in the end of February or early March and is celebrated for 5days and there is a dance performance of Yak and Lion from door to door as a mark of happiness. Torgya festival: Torgya festival is celebrated in Tawang every year. This joie-de-vivre of Arunachal Pradesh is endowed with cheerful vigour and glory. The three days long Torgya festival is commenced with the recitation of religious texts and Monastic dances and the significance of this festival is to chases out evil and usher prosperity and happiness for people and crops. Cheokar Festival: Cheokar festival is celebrated by the Monpa tribe to pray for protection for the crops and for the bumper harvest. It is organised in the seventh month of lunar calendar. The villagers call up priest or monks from monasteries so that they can recite the religious text and circle the whole farmland to chase out the evil. Dukpa Tse-She Festival in Tawang: The Dukpa Tse-She celebration is another celebration of Tawang that commemorates the lady talk of Gautam Buddha on the Four Noble Truths at Deer Park in Sarnath. The day is observed by going by sanctuaries and offering a request to God. Saka Dawa: The Saka Dawa festival is celebrated in the fourth month of the lunar calendar. It is a major festival of Tawang where people observe the festival as a respect to the fulfilment of the Nirvana by Gautama Buddha. People pray to God and surrender before Him to build one's fortune and gain more legitimacy. You can take the air route from either Guwahati or Tezpur airport. You can also hire a cab or taxi from Guwahati. But for the adventurous one can ride through the green valley and be tuned with the cool breeze. 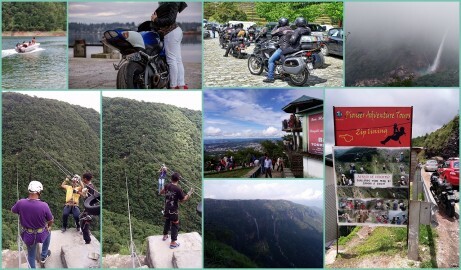 Rent range of bikes in Guwahati and visit Tawang enjoying Nature to the fullest. Most of the travellers take the Bhalukpong route from Guwahati-Tezpur-Bhalukpong-Bomdila. There is another route from Kalaktang through Rupa and Bomdila. Gyapa-khazi: This is a Monpa version of the pulao. This staple food of Monpas’ is prepared by mixing rice, fermented cheese, small dried fish, chilly, ginger, butter etc. This mouth-watering Monpa version of pulao is a worth trying. Zan: This is another staple food of Monpas. It is prepared with millet or other flavoured flour and boiling water along with vegetables, meat or chamin, fermented cheese or soya beans. Khura: It is a Monpa pancake made of buckwheat flour. The dish can take along with tea or vegetable curry. Thukpa: The Thukpa is one of the most popular comfort food of the people. It is also popular in Tawang. It is prepared with basically a noodle soup mixed with minced meat, chillies etc. There is another kind of Thukpa which is called Dheb-Thukpa. One another type is called Ashum Thukpa where the ingredients are maize, meat and beans. Puta: Puta is the Monpa version of noodles. It is usually made of vegetables, fermented cheese and chillies. Bresi: Bresi is basically sweet rice and it is served with a flavour of butter, raisin and sugar. Baang-chang: This type of alcohol is prepared from rice and also it can be made by combining millets and barley. Shing-chang: This is a special type of alcohol which is only made during the time of Losar-the Monpa New Year festival. It tastes sweet with a scented aroma. Aarak: Aarak is made by the distillation of maize, millet, rice or barley. There are plenty of hotels and lodges in Tawang with affordable budget. You can pick any hotel from your affordable range but it is better to book before the trip because sometime you can’t get a room in the busy season. You can also book online or on the phone. It is easy. There is another option called Homestay. It is very popular these days. Actually, it is also a way to get closer to the people and their culture. You can try their hospitality and taste their way of living in a homestay. It is not easy to drive after dark. Be sure you are in your hotel after sundown. It is better to keep a handful of warm clothes with you since the temperature of the valley can drop down to minus. The locals of the valley are warm and friendly but you also have to maintain your behaviour with them. Don’t litter or pollute the valley. Don’t make any noise pollution. The people of the valley are very calm and clean. If you are in a bike trip or road trip then take some time to acclimatize. Carry some snacks, dry foods with you. The phone network is not so strong so whenever you get make the important call. And most importantly get the ILP Inner Line Permit before visiting the valley. You can get it online now. So are you excited for a trip to the valley of the mountains! May your trails be crooked, winding, awesome, unique, leading to the most amazing views.